Being first out of the gate at the rest camps in Kruger National Park, South Africa certainly has its benefits. 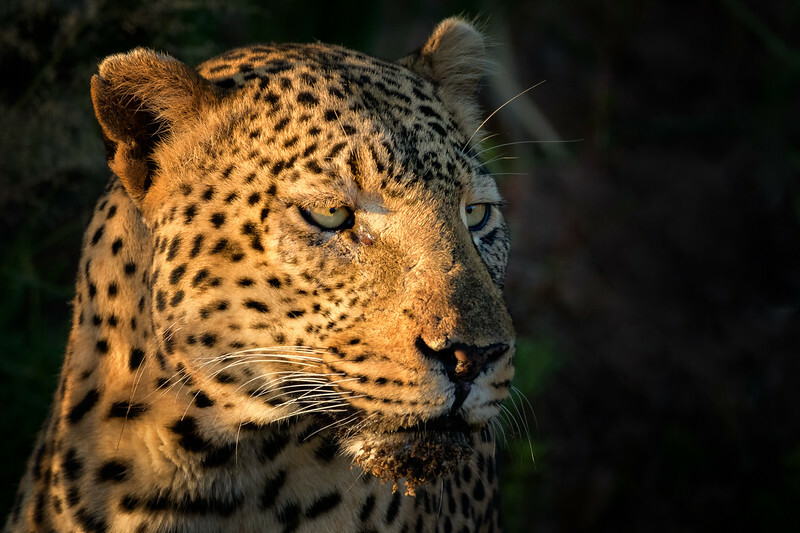 We were no more than 500 metres down the road when we came upon this male leopard just as the sun was rising and just as he had finished his morning drink. The wet sand from the river was still clinging to his lower lip.